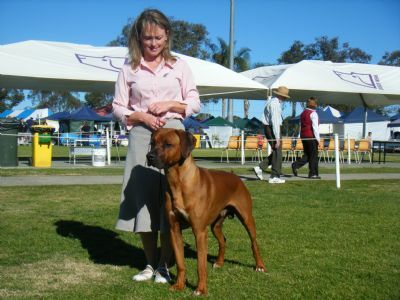 Rommel is now an Australian Champion!! 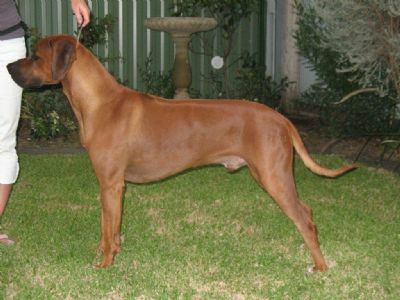 Rommel is the first Champion for his parents, Floyd & Biscuit! 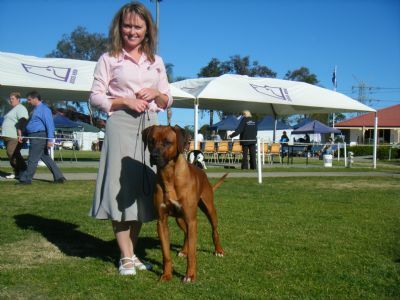 Leigh & Rommel enjoy their show days out & have become a sucessful show team, picking up Multi Class in Groups along the way to Rommel's Championship. This successful team has done a great job as Rommel is Leigh's first Show Dog!